Enjoy Alo Pomelo, Grapefruit, & Aloe Appeal (12x16.9 Oz). Divine citrus. Native to Southeast Asia, the pomelo ? like a grapefruit on steroids ? joins its smaller cousins, the pink grapefruit and the zesty lemon, in our latest blend. 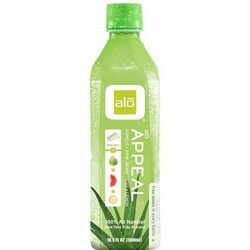 Peel some of this citrusy good stuff, add real aloe vera pulp and juice straight from the leaf and other positive ingredients and you get ALO Appeal. It?s citrus with a twist. (Note: description is informational only. Please read product label prior to use and consult your health professional with any question prior to use.